Stainless steel retail scales, perfect for using in shop and working by battery. Printer protected under the plate from impacts and water. 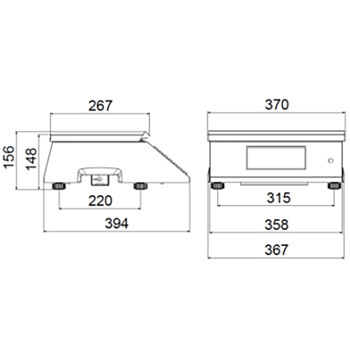 Dual alphanumeric backlight white LCD display, operator and client side. The backlight function can be removed. 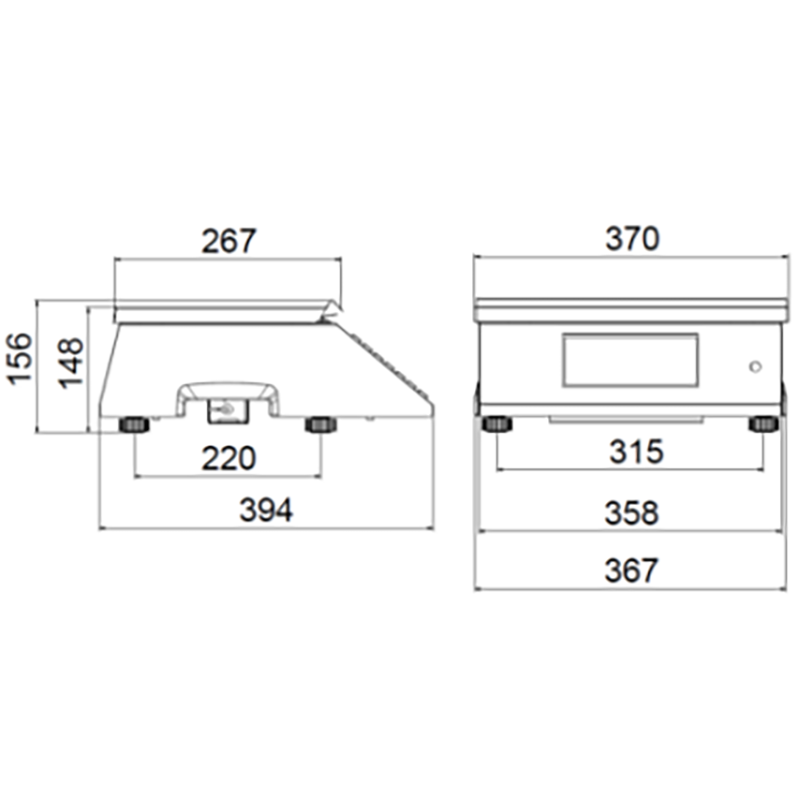 Stainless steel body, dimensions 360x235x500mm (LxWxH). 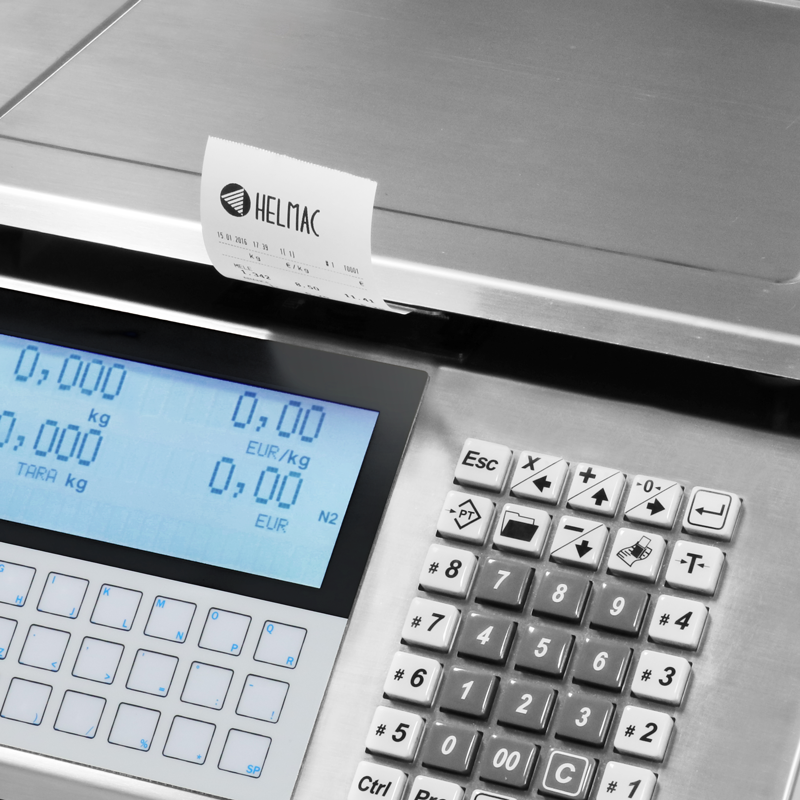 777620 GPEXS scale, 15 kg capacity, 5g division, with stainless steel structure and 360x235mm plate, dual backlit LCD display, new keyboard membrane/mechanical 62 keys. 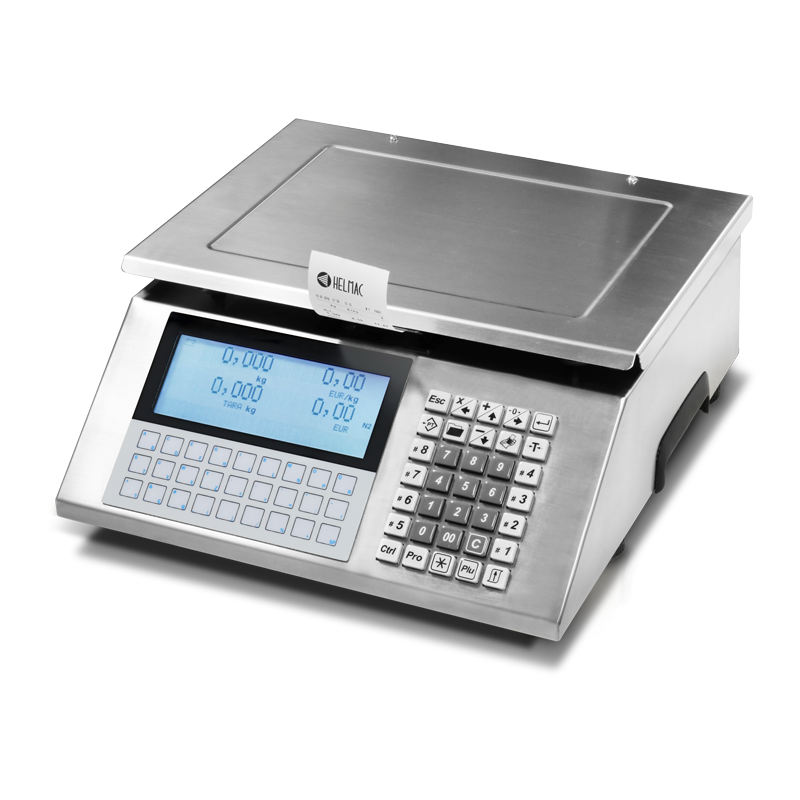 777520 GPEXS scale, 6/15 kg capacity, 2/5g division, with stainless steel structure and 360x235mm plate, dual backlit LCD display, new keyboard membrane/mechanical 62 keys. 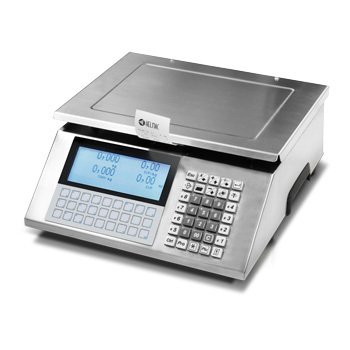 777320 GPEXS scale, 15/30 kg capacity, 5/10g division, with stainless steel structure and 360x235mm plate, dual backlit LCD display, new keyboard membrane/mechanical 62 keys. 777120 GPEXS scale, 12/30 kg capacity, 2/5g division, with stainless steel structure and 360x235mm plate, dual backlit LCD display, new keyboard membrane/mechanical 62 keys.